Are you in need of well-built scaffold towers to carry out your building project? Ace Scaffolding can offer professional scaffold erection to help you complete your project on time. 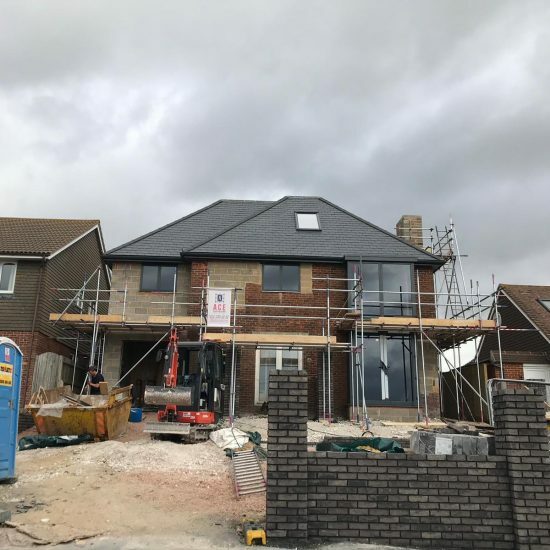 Ace Scaffolding is one of the most professional and highly reputable independent scaffolding contractors operating in Brighton and the surrounding areas. With more than 20 years’ experience in the industry and an excellent reputation for high quality work, we can be trusted to consistently provide innovative, tailor-made scaffold erection for renovation, repair or new build projects. At Ace Scaffolding, we are trusted by leading construction and restoration companies around the UK to provide functional designs, efficient scaffold erection and full site support, and we strive to achieve unmatched rates of customer satisfaction. Choose the experts at Ace Scaffolding to provide professional scaffold erection for building projects in Brighton. Whether you’re in need of a temporary roof installation or wish to repair your chimney, we can help. Our team of scaffolders are highly experienced with a wide range of clients including domestic clients, local councils and private companies. We are completely dedicated to providing a scaffold erection service of the highest quality to match your needs. 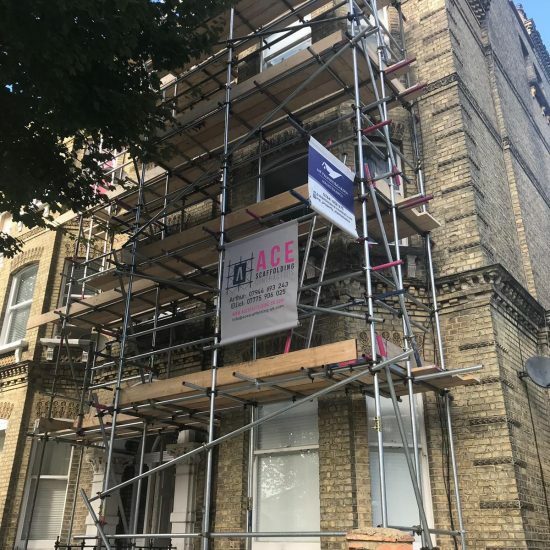 At Ace Scaffolding we offer comprehensive scaffolding services in Brighton for a wide range of commercial and Industrial properties including schools and colleges, hospitals, retail outlet and shops. Our expertise with scaffold erection added to quality customer service makes us one of the best scaffolding companies in Brighton. Whether you need scaffold erection for industrial buildings, offices or retail units, we have the experience and equipment to handle it. No matter the size of your project, we can offer you efficient on-site scaffold erection. Our local authority approved commercial scaffold erection is carried out with the best materials and you can trust Ace Scaffolding with all your scaffolding requirements. We pride ourselves on excellent scaffold design and erection and do our best to build long term relationships with our commercial customers by providing professional support through the entire process from start to finish. When it comes to scaffold erection for commercial properties, we have an impeccable safety record. We also ensure that our scaffolders are all C.I.T.B. and C.I.S.R.S. certified to maintain our commitment to health and safety. What’s more, we guarantee innovative access solutions, reliability and premium service when you choose us to work with you on your large scale commercial project. Are you a homeowner planning to undertake exterior home improvements such as loft extension, roof work, gutter replacement or other structural improvements? No job is too small for Ace Scaffolding and we understand that it can be overwhelming to require scaffolding around your home. Our domestic scaffold erection can allow for easy access during such projects and will also improve safety overall for your family, property and hired tradesmen. When we erect scaffolding onto your property, you are assured of a secure and sturdy workmanship. 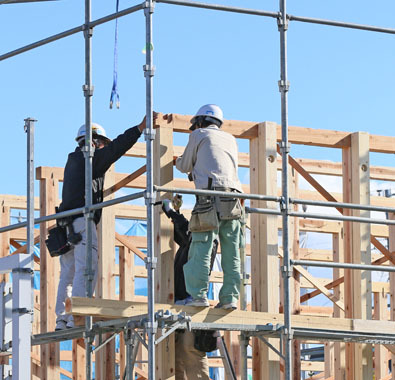 Throughout the scaffolding process, from survey to delivery, erection and dismantling, our staff will always be considerate of you and your home. We’ll ensure your scaffolding is erected and removed as quickly and safely as possible so that your home does not look like a work-in-progress for too long. Should you have any concerns about the possibilities of having scaffolding in your home renovation or self-build project, please don’t hesitate to reach out to us. We’ll be delighted to guide you through the all of the necessary steps in the process. Please give us a call, as we can erect any type of scaffolding on request. At Ace Scaffolding, we’ve built a solid reputation for providing high quality scaffold erection that suits your requirements. If you’re in need of scaffolding to carry out maintenance projects on your existing building, we can erect scaffolding on a wide range of properties. We can also perform inspections as required to ensure your safety. Even if your building project is on hold, we can offer fast scaffold erection to help you complete your maintenance work. Our team of scaffolders can be trusted to help you get your project back on track. Here at Ace Scaffolding, your project is in safe hands. For every job we undertake, we comply with the highest level of health and safety regulations for your peace of mind. Whether you’re a private homeowner, professional builder or developer, we’ll provide a friendly, reliable and professional service at all times. We make use of a wide range of high quality scaffolding products for our services. With our local knowledge and expertise, we’re certain that we can surpass your expectations for any project. Our 20 years’ experience in the scaffolding industry has also helped us to recognise the exact products to use, their unique advantages and disadvantages and cost compared to performance. This means you are assured of great value for money when you choose us for your scaffold erection in Brighton. Some of the brands we work with include Haki international, Layher, Bosch, Belle, Makita, Hilti, Cuplok, Advanced Scaffolding, RMD Kwikform Ltd, Van Thiel United, SGB Ltd, Kwikstage, Scaflok, and Altrad Plettac Assco. What Kinds Of Scaffolding Can We Erect? Ace Scaffolding can erect a wide range of scaffolding to provide safe access to different types of building work including all types of new builds, roof maintenance and repairs, internal or external maintenance and decorating, cavity wall insulation, facias, soffits and guttering, temporary roofs (Monaflex or Tin), debris netting installation, window replacements, stairs, fence hoarding and more. Why Choose Ace Scaffolding for Scaffold Erection in Brighton? As a company, we have over 20 years of scaffolding experience and access to one of the largest stock of tubes and fitting stocks in the UK. Therefore, whether you need scaffolding for a large building or a small home, we can efficiently handle projects of all sizes. Each member of staff at Ace Scaffolding strictly adheres to our health and safety policy. Our company is officially CSCS and CHAS accredited and our scaffolders are CITB registered. We have a low accident ratio, which is a testament to our pro-active approach to health and safety with all our operations at Ace Scaffolding. We offer reasonable and highly competitive rates on our scaffolding erection so that our customers can easily take advantage of our high quality work. We commit to independent assessments by appropriate health and safety consultants to ensure that our practices are up to date and to create the best working environment for our scaffolders and customers. Part of what makes our scaffold erection service stand out is the thorough risk assessments and method statements we provide. As a vital element of any scaffolding project, we make sure to carry out these assessments before each new project and also constantly review them to ensure they are up-to-date. Our experienced specialists at Ace Scaffolding are skilled at performing these assessments. They can quickly identify the tasks that need to be carried out, assess potential risks, outline specific and significant risks, and also determine the workers who may be at risk during the project. They’ll also outline the relevant controls to ensure fewer risks, train staff to follow necessary safety guidelines, provide supervision to manage risks and generally oversee progress to ensure a safe and effective scaffold erection. For scaffold erection in Brighton, the company to choose is Ace Scaffolding. With more than 20 years’ experience, customers can depend on us for the best scaffold erection in Brighton. For more information on how we are able to scaffold your property, contact us today on 01273 257201. We’re confident you’ll find that our services and rates are extremely competitive. Here you’ll find the answers to our most commonly asked questions from clients in Brighton regarding our scaffold erection services. If you are unable to meet for a property survey beforehand, we can discuss your project with you over the phone and offer you a free, no-obligation quotation if the information you provide is sufficient for us to so. Our scaffold erection prices are specific to each project and since there are so many variables to consider, it is often easier for us to carry out a free site survey before providing a suitable quotation. How much do you charge for scaffold erection? The cost of scaffold erection mainly depends on your requirements which can vary from one project to the other. Such requirements include the amount of scaffolding needed for the project, how difficult it is to erect and the length of the project. We can offer you professional advice about the safest and most affordable scaffold erection for your property. As we are Brighton based, we are uniquely situated to provide high quality scaffold erection in the area. To find out more about our services or to request a no obligation quote today, please get in touch, a member of our team will be happy to discuss your project requirements. How do I arrange to have scaffolding erected in Brighton? If you’re in need of scaffold erection in Brighton, then don’t hesitate to get in touch with Ace Scaffolding. We have over 20 years’ experience in scaffold erection and offer some of the most competitive rates for scaffolding erection in Brighton and the surrounding areas. How quickly can I get scaffolding erected? Every job is different, and we usually prefer to have a week’s notice for adequate planning. We can provide a rough estimation of erection time when we quote for the work. In addition, we can attend to your project immediately if it is an emergency. Will scaffolding damage my garden or the ground around it? Our professional scaffolding teams do everything possible to ensure that no damage is caused to the Brighton property being worked on. This includes designing a precise plan taking into account vulnerable features on the property and following a careful approach to the erection itself. Because gardens are usually soft ground, there is always the small possibility that some damage can result from heavy scaffolding erected on it. We take all possible steps to protect your garden and minimise damage to your trees, shrubs and lawns. But if you have any concerns, please discuss them with us before we begin work on your property. Please keep in mind that we are not responsible for any damage caused to your property by workers using our scaffolding. How do you erect scaffolding around chimney stacks, steeples and strangely shaped buildings? You might be surprised to learn that scaffolding is highly flexible and adaptable – it simply requires an experienced scaffolder who knows the products and can manipulate them to provide the best results. We can erect scaffolding to suit incredibly complex areas using a variety of methods. Sometimes, this can mean making use of additional pieces and fittings to access the desired area. For strangely shaped buildings, we’ll simply make allowances in our plans taking the unique design of your property into consideration. What material is used for scaffolding? The most popular materials used for scaffolding are aluminium and steel. Because of its durability, aluminium is more expensive but is the best choice if your scaffolding is going to be in use for a long period of time. We therefore recommend this material for larger or more time-consuming projects. On the other hand, steel is the material of choice for customers who only require scaffolding for a short amount of time. It’s necessary to inspect all working platforms and edge protection before each use and after significant alterations as the strength and security of the scaffold can become compromised. Your scaffold should also be checked after adverse weather conditions such as heavy snow, rain and strong winds for the same reason. Regular checking once a week is recommended to ensure that the scaffold is still safe for use. You can be sure that at Ace Scaffolding, we thoroughly and regularly inspect all our scaffolding. According to our terms and conditions, removing or altering the scaffold must be performed by an Ace Scaffolding operative. This is to ensure that the project is safely carried out by our qualified staff and is covered by our insurance. Any alterations made by unqualified personnel could make the structure unsafe and result in someone being badly injured or worse. Should you need any aspect of your scaffold adjusted for any reason, give us a call. We pride ourselves on great customer service and as we’re based in Brighton, we can quickly reach your property to make the necessary changes. Afterwards, we’ll inspect the scaffold to ensure it is still safe for use and you can continue with your building or renovation. When it comes to our scaffold erection in Brighton, safety is our number one priority. No matter how big or how small the job we’re working on may be, we maintain a strict health and safety policy and environmental policy with all our operations. This means we can offer you HSE compliant service that is professional and efficient, whilst ensuring that your site is as safe as possible for the tradesmen you’ve hired to work on your project. Your scaffold erection and dismantling will only be handled by members of our own qualified and highly experienced team. 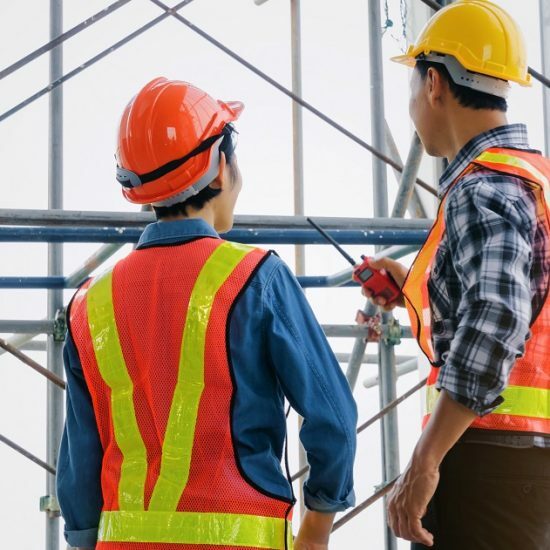 We also offer ongoing supervision and inspections and with Ace Scaffolding, you can rest assured that your site and contractors are well taken care of. It’s never a good idea to do so. At Ace Scaffolding, we would advise you to use qualified and experienced scaffolding specialists instead of attempting to erect your own scaffolding. 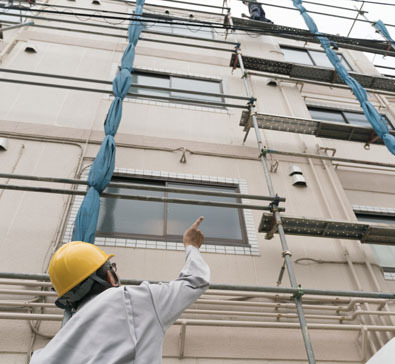 There are so many dangers involved when working at height and only an expert with the required training can safely assess such risks and provide effective scaffolding. Using a professional scaffolding contractor such as Ace Scaffolding is also recommended because we are fully insured with employer, public and product liability insurance, as well as professional indemnity. In the majority of cases, you don’t need a permit. However, you may require a permit if your scaffolding is going to be erected on a public right of way, such as a pavement or a footpath. 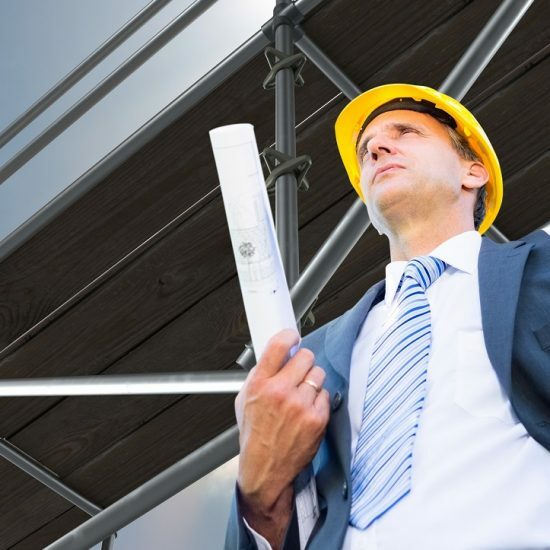 As your scaffolding contractor, we will first find out whether you need a permit and put in the application for you, ensuring the necessary permit is available before any work commences. Yes. Uneven or sloping grounds around Brighton rarely prevent our experienced scaffold experts from erecting a sturdy structure. We can provide scaffolding with adjustable components to tackle all bumps and lumps in the ground. We’ll take steps to ensure that the scaffold doesn’t get destabilised by uneven ground. If necessary, we can also create an even surface to work on by securing a large baseplate at ground level. This is why it’s a good idea to have scaffold erection by professionals. If you have any concerns about the ground where you need to erect scaffolding, just contact us to discuss this. It’s important to use the correct scaffolding for any project and usually, it is to your advantage when this decision is left to the experts. At Ace Scaffolding, we are happy to guide you on the best kind of scaffolding you need for the work you’re undertaking on your property. The operative in charge of the direct supervision of the working foreman, leading hand and other members of a scaffolding gang must meet the minimum requirement of CISRS Scaffolder grade. Supervision of more complex scaffold structures required a CISRS Advanced Scaffolder qualification. In addition, the supervision of a scaffolding site or project including deploying operatives, H&S issues, liaising with client, inspecting, and so on, must be carried out by a competent person. However, the individual may not be required to hold a CISRS qualification. How do I know if a scaffolder is competent to carry out the work? 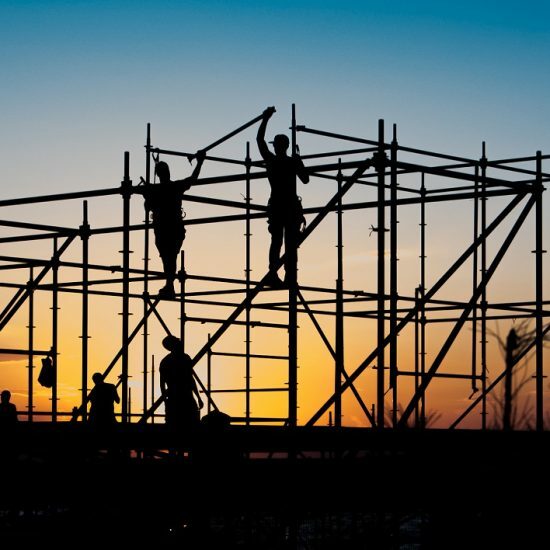 According to law, individual operatives are required to be competent and highly efficient in the erection, alteration and dismantling of scaffolding. The easiest way to ensure that a scaffolder is competent is to request their Construction Industry Scaffolders Record Scheme (CISRS) Card. Ability to provide a CISRS card proves the holder as a competent part of a scaffolding gang in charge of scaffolding erection, dismantling or alteration. Our scaffolders at Ace Scaffolding are used to working across a range of different domestic and commercial projects and can provide a valid CISRS card upon request. 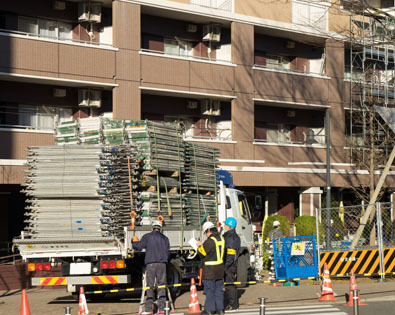 What are the safety risks during scaffold erection? There are some serious and life-threatening safety risks involved in scaffold erection. 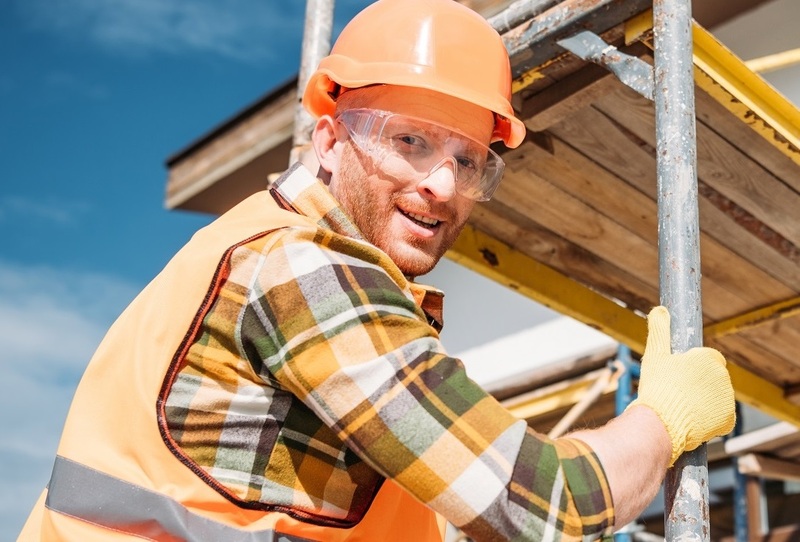 Even whilst following required rules, workers can experience falls, scaffolding tip-overs, or be struck by falling objects. 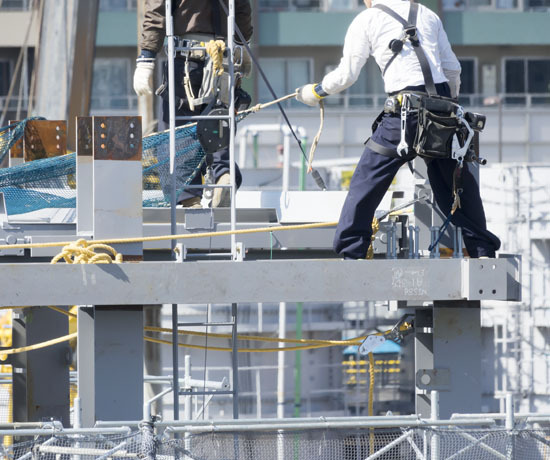 Some risks associated with scaffold erection also occur due to platforms that have been overloaded beyond recommended capacity and poorly supported work platforms. These scaffolding accidents during erection and dismantling can be avoided or minimised by following required regulations such as using personal protective equipment, ensuring proper footing of scaffolds and use of scaffolding inspection tags at the various scaffold access points. Safety risks during scaffold erection can be minimised with proper scaffold inspection and training. These issues can be identified during inspection and fixed to reduce the risk of falling from the structure and other dangers such as unsound or insufficient bracings and points of access to the building being incorrectly or inadequately secured to the scaffolding. Another necessary level of risk prevention is to have a qualified person available to provide inspections and supervise work. They can use scaffolding tags to mark faulty scaffolding as unsafe for use, and block them off until the issues have been fixed. What kinds of projects do you provide scaffold erection for? Our scaffold erection is available for domestic, commercial and industrial properties. Whether you’re a local council in need of scaffolding for a big project, a contractor or a homeowner in need of scaffolding for a home maintenance project, we can provide you with scaffold erection in Brighton tailored to your needs. We specialise in providing edge protection, alloy towers and access scaffolding and if necessary, our team can also design customised scaffold systems to help reach difficult places. Ace Scaffolding offers Scaffold Erection services in Brighton, East Sussex, a large town located in South East England. A range of East Sussex businesses including Ace Scaffolding make their home in Brighton. Hollingdean, Hove, Mile Oak, Moulsecoomb and Hollingbury are also part of Ace Scaffolding’s Scaffold Erection service area in the City of Brighton and Hove. in addition to Brighton and Hove’s outer urban areas Woodingdean, Withdean, Westdene and West Blatchington. 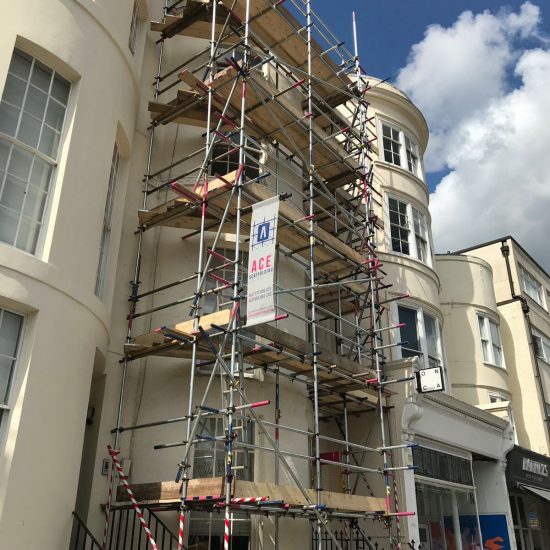 Last in order of mention, Ace Scaffolding’s Scaffold Erection services cover the Brighton Municipality along with Stanmer, Bear Road area and Brighton Marina.